Eddie was recently fortunate enough to have the opportunity to ask upcoming Australian based director Joseph Sims-Dennett a few questions about himself and his recent world-conquering film Observance. 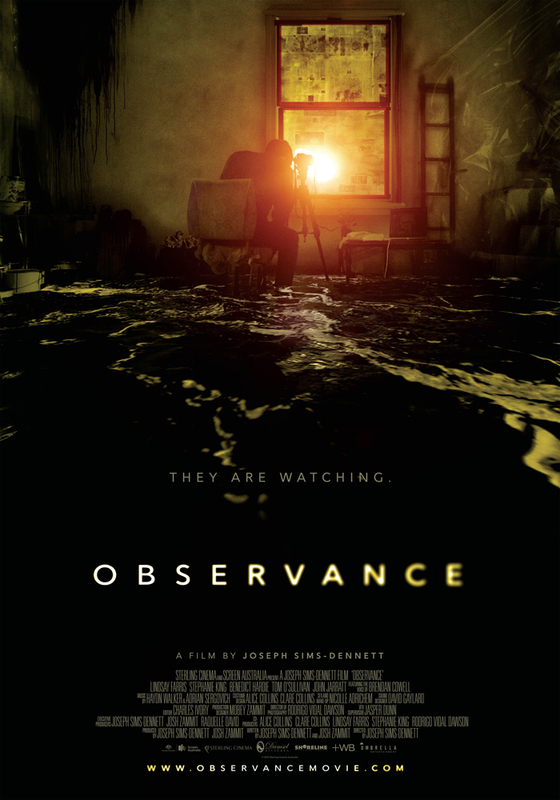 Receiving glowing reviews from famed sources like the Hollywood Reporter and Indiewire and playing to raves at festivals all over the globe, Observance is the type of film that is often sadly lacking from local productions, being inventive, unique and downright scary in its story of surveillance and malevolent forces at work behind the scenes of our everyday lives. There’s little doubt that Observance is a fantastic calling card for Sims-Dennett and we here at The Movie Guys can’t wait to see what Sim-Dennett comes up with next. For our recent review of Observance click here. 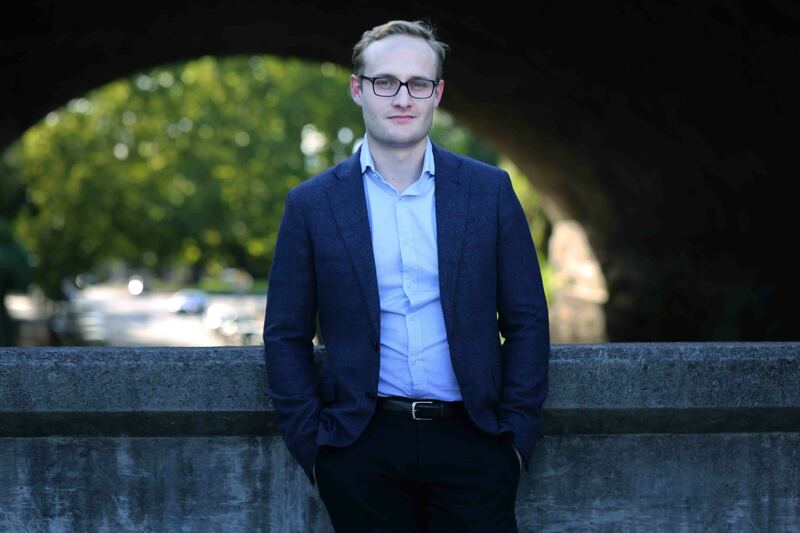 Q. Joseph, can you tell our readers a little bit about yourself and your background? Q. Who are your filmmaking influences, is there a filmmaker that you particularly have drawn inspiration from growing up as a film fan? A. I love film so I am a fan of all sorts, but I try not to be directly influenced or reference anything. My first film Bad Behaviour was a collage of references to films I loved but I’d never make a film like that again. Observance was made from my own initiative, I wanted it to be completely personal to me. However I guess there’s the argument that everything you watch influences you subconsciously anyway, but at least I tried! In terms of being a fan, I’d have to say Ingmar Bergman is my hero, a long with Tarkovsky, Von Trier, Mike Leigh amongst many others. A. For me I guess it’s just staying focused on initial idea that the story grew from. Observance is a film about being powerless to the invisible forces that control our lives. So whenever I had to make a flash decision (which was pretty much every 2 seconds making Observance as we had so little prep time) I would just go back to that distilled initial idea that I was trying to communicate through the film. As soon as you’re in that zone the confidence returns and you can get through the day. Q. The trials of Observance didn’t just come from its filming but also came from the fight to get it distributed and supported by local industry bodies. How did you go during this time getting your film the playtime it now has? A. It’s a long slog and you really do have to fight to get screens as it is so incredibly competitive and the vast majority of distributors and cinemas are extremely conservative in Australia. You quickly accept that no one gives a crap about your film other than you so it really is down to just you to push things to even get to the point of distribution. I have been very fortunate to have an extremely supportive team around the film and lucky enough to have the film selected to play at Fantasia and the BFI London Film Festival. It was the reviews that came out of there and the festival selections themselves that brought the attention of Screen Australia who have kindly helped us complete the project (the film was finished, the mountains of contracts, insurance paperwork and deliverable lists is was kills you) so we could finally be released. Q. The reception to Observance all over the world on various festival circuits and screenings has quite clearly been a huge bonus for your film, how have you found that whole experience of meet and greets and the opportunities they present? A. We got to go to lots of incredible places with the film and it was a lot of fun of course. You meet a lot of industry people from all over and I think that the main thing for me was gauging where I sit in the scheme of things. It’s very confusing celebrating your film playing at the BFI London Film Festival, standing next to Meryl Streep but at the same time being so broke. So the struggle does continue but at least I know where best to pursue and now I’m working with some wonderful people I’ve met a long the way and will hopefully be shooting our next film in the second half of this year. Q. Observance has quite a distinct tone and feel, was there a specific film that you set as or showed to your actors as a benchmark to achieve this? A. The tone evolved from the script which I think genuinely did capture a strong feeling. This was enhanced in the most extreme way due to the madness of the shoot. We really were trapped in that apartment filming for 17 or more hours each of the 11 straight days. The heatwave brought the temperatures to over 55 degrees centigrade inside and it became this living nightmare. This was captured in the performances, the light, production design, everywhere, and in the editing process Charles and I managed to hone in on it. So there was no direct influences from other films, and as I mentioned before, I prefer not to reference or think of other films, but instead to focus only on the idea. Since we world premiered comparison’s have been made, in particular to Polanski’s ‘Repulsion’, Coppola’s ‘The Conversation’ and of course ‘Rear Window’ – all of which are so insanely flattering to hear but weren’t on my mind whilst we were making Observance. Q. Your first feature film Bad Behaviour starred John Jarrett and he also makes a brief yet important appearance in Observance. How’s it been having an industry vet like John be a part of your projects? A. John has become a good friend since Bad Behaviour and he’s been very supportive of me. I love his on screen presence, particularly his distinct voice and general disposition, so it’s always a plus to have John involved. We had a small part available but no money offer for it, so I gave John a buzz and asked if he could drop by for a couple of hours and shoot a scene as a favour. Having his name on the film certainly helps open some doors but for me it’s just an excuse for us to hang out. A storm hit just before we shot so it’s a very atmospheric moment between John and Lindsay in the film, I really like how it turned out. Q. Can you give us a little insight into your upcoming projects? A. I’ve got one project that Josh and I have been working on for years and it’s ready to go and we have a great producer on board. It’s based on true events but at this point I can’t talk about the story itself. 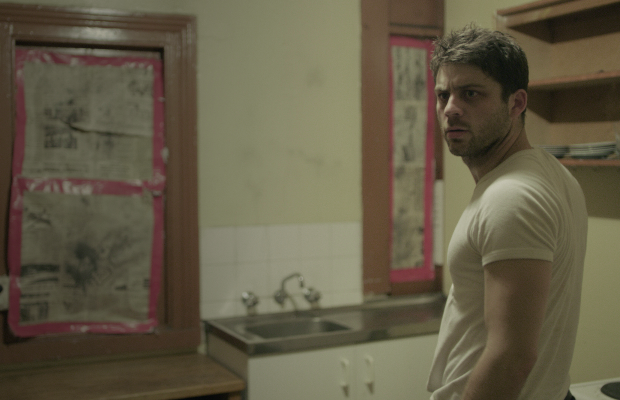 I have another project that we received Screen Australia development funding which I aim to make soon after. So it’s busy times at the moment but I’m incredibly excited to get back on set! 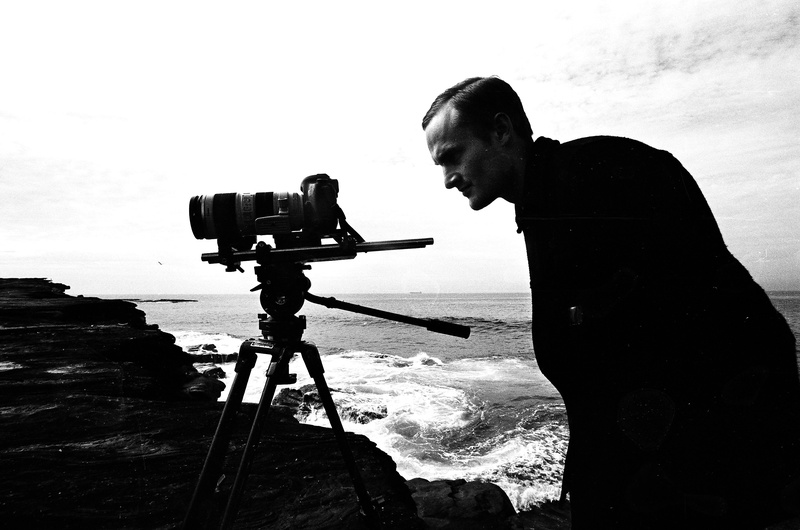 Q. Lastly, if you could offer a valuable bit of advice for budding local filmmakers, what would it be? A. Go out there and make something. There’s really no excuses any more with technology being so readily available for anyone to be creative with, just find an idea that’s unique to you and explore it. If it means something deeply to you people will recognise that and want to help you make it. The magic is there you just need to find it.